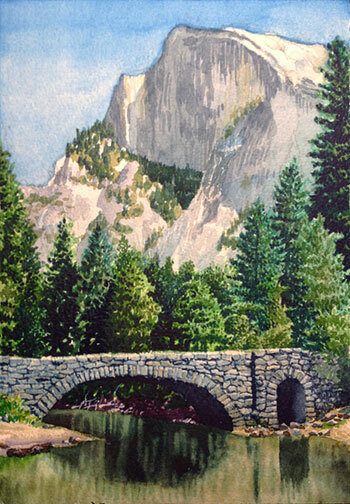 I was out with the Yosemite Western Artist plein air group, when I painted this one. The summer was so dry I was able to walk out to and set up on dry high ground, down in the riverbed. Hopefully, it won't ever be that dry again and I'll have to put on waders to paint from this point of view.